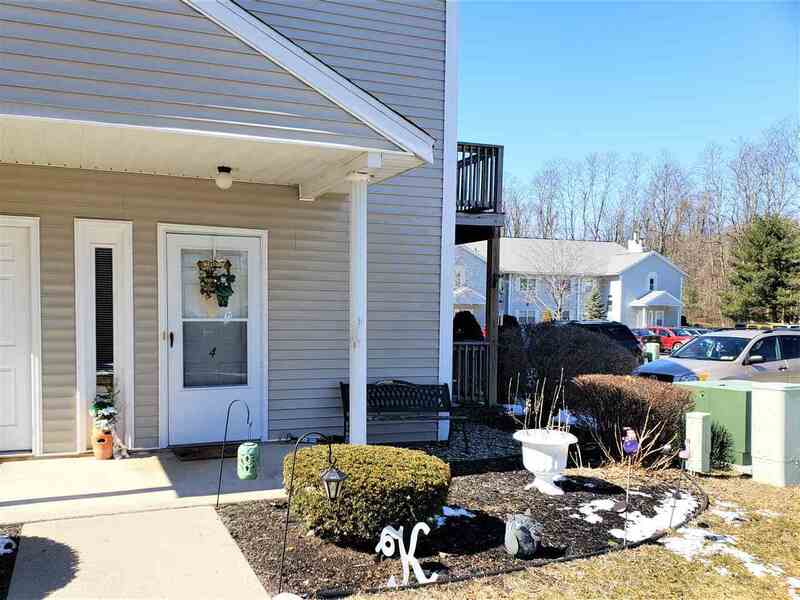 Move right in to this well maintained 2 bedroom, 1 bath first floor condo. One floor living at its finest with a spacious master bedroom with vanity and walk in closet, in unit washer/dryer, private patio with view of the community pool, updated wood burning fireplace, and newer stainless steel appliances. You cannot beat the location with a short drive to Crossgates Mall, and all major thoroughfares while being surrounded by the Albany Pinebush Preserve. HOA includes all exterior maintenance, incl. snow removal, garbage collection, water usage, as well as access to outdoor community pool.